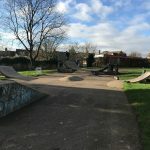 Reigate skatepark is a medium sized all concrete skatepark that can be found in Reigate Priory and has a mixture of street and transition elements. 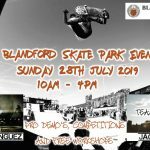 The skatepark starts on one side with a rectangular bowl that is open sided and has a hipped quarter pipe and flat bank that lead out and open onto the main body of the skatepark. Following on from this is jump box that is hipped with a drive with that has a rail and two hubbas. 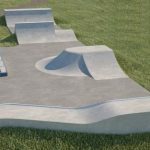 After these is a long flat bank with an extension and hubba and next to this is a quarter pipe that act as retrun ramps. Reigate skatepark is a great local park with all of the usual obstacles. 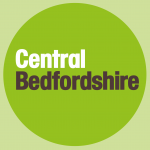 The layout is not the most original but the surfaces are smooth and fast making it a great place for beginners and experienced skaters alike. Reigate train station: Exit the station onto Holmsdale Road and head west until London Road. Here, turn left and follow the road until the end and cross over onto Park Lane. Follow this road along until Stable Mews on your left and take this road until the end and Reigate skatepsrk will be in sight. High Street bus stop: Exit the bus onto High Street and take Park Lane south. Follow this road along until Stable Mews on your left and take this road until the end and Reigate skatepsrk will be in sight.